As you probably know, I am usually very hesitant to review DVDs. Everyone has different tastes and I have been burned before. But when I saw the opportunity to review Patterns of Evidence- The Exodus, my curiosity got the best of me. I love Biblical documentaries and the Exodus itself boggles my mind, so I had to see what this one was about. P Patterns of Evidence- The Exodus is about just that- The Exodus. Specifically, it is an investigation done by filmmaker Timothy Mahoney to see if he can prove whether or not the Exodus, as documented in the Bible, really happened. This 119 minute DVD, which took 12 years to produce, is full of historical facts and live interviews with theologians, archeologists, and even the Israeli president and prime minister. Released in 2015 and narrated by God's Not Dead's Kevin Sobo, it is a mesmerizing journey that takes the investigation around the globe. It won 13 awards in 2014 on the film festival circuit, including a Gold Remi Award for Best Director at the Worldfest Houston Intl. Film Festival, the Gold Crown Award for Best Picture and Best Documentary at ICVM 2014, and Official Selection at the Soho International Film Festival in New York. For all you visual learners, this one is for you! Not only are the images and on-site footage breathtaking at times, Mahoney uses a time line on a "wall" that adjusts accordingly each time he discovers new facts. By comparing the Biblical timeline, other historical documents, and the opinion of renowned scholars, the timeline moves back and forth during the film. While he leaves the evidence up to the viewer to process and decide in the end, his 12 year personal search for concrete evidence is pretty compelling in that the Exodus did occur as written about in the Bible. We watched this as a family, and quite frankly, I would like to see it again as it is pretty overwhelming with facts at times. That being said, our 10 year old did watch with us and loved it! There were a lot of exclamations of "cool!" and "that's neat" throughout the viewing. Of course, as believers, we do not doubt the validity of the Bible and the fact that the Exodus did occur, but the sheer number of people involved alone makes it mind boggling for us at times. We loved that there were historical facts presented in simple terms that we, children included, could use to later defend our faith! This film is NOT one sided, and indeed some of those interviewed do not believe that the Exodus actually happened, from archaeologists to Egyptologists. But I do believe that all of the evidence presented is done in a very professional, and non-argumentative way. Because we want to raise our children to respect the views of others, even those we do not agree with, this is important to me in this kind of documentary. For that reason, I would most certainly recommend this film to you. It is well done, quite heavily researched and will give your family a lot to consider and talk about! You can watch the trailer and find more info at the Patterns of Evidence website. You can also use the discount code MK1 for $3.00 off the movie when ordering. 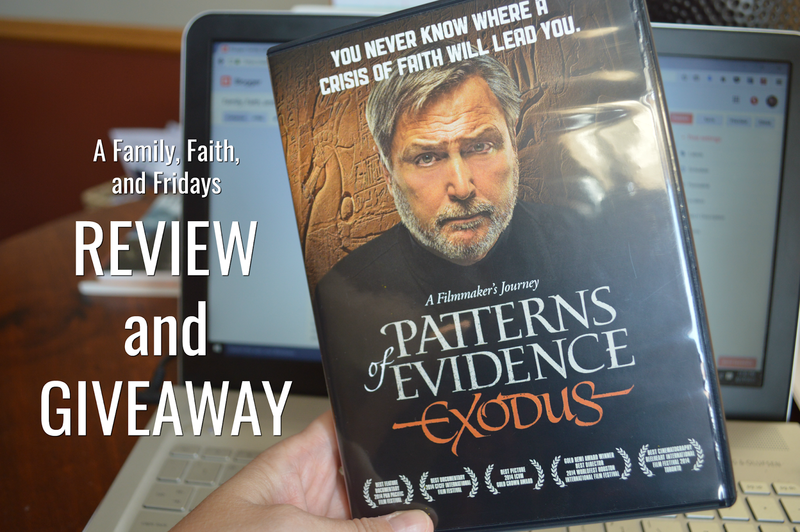 If you would like to win a copy of Patterns of Evidence, just leave me a comment here on the blog and a good way to reach you if you win. We will choose a random winner next Thursday! When we started 34 Weeks of Clean- Rinse and Repeat 34 weeks ago, it was truly not a challenge just for you. It was was for me as well. I knew that the timing was perfect for cleaning and organizing after just being in our house a year. It also gave me a chance to connect with new friends along the way, locally and on the web. And while the clean and organized house makes me want to cheer, it is the community of friends I have made along the way that have blessed me the most! You all have made this journey fun and have encouraged me along the way and I THANK YOU from the bottom of my heart! Our stuff does not make us who we are! Memories are best held in our hearts, not in our things! Everything has a home! If not, get rid of it! Before you buy something, ask yourself, is it useful and do I really need it? If you love it, use it, and would buy it again, keep it. If not, out it goes! One person's trash is another person's treasure! Be willing to share! Five minutes of pick up a day will keep your house cleaner than you think! The less you have, the easier it is to be organized. Declutter! Buying more containers does not amount to less stuff! So where do we go from here? Now that you should have a relatively clean and organized house, I am going to let you in on a little secret. It will not stay that way without a little effort! So what's a girl to do? Rinse and repeat! Maybe you do not need to start again tomorrow, but you will probably need to start again at some point, sooner than later. I already know several areas in my own home that need some attention! A clean and organized house does not just happen. It takes commitment and a little effort. You can do! A BIG thank you to all who participated! It has been so much fun to interact with you and to see your successes. Thank you, thank you, thank you! A BIG thank you also to my friends at 62 Gifts and Redeemed for their generous prize donations! Despite some pretty serious health struggles and even a surgery, along the way, Kelly submitted a picture every week of our challenge! Way to hang in there, my friend. Be checking your mail for your goodies! Thank you again, friends. 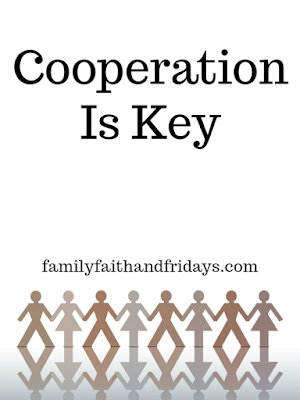 I hope you will stick with us here at Family, Faith and Fridays! We would love to have you! But sucker that I am, when I got the chance to review The Dr. Bonyfide books from Timberdoodle, I jumped at the chance. Just call me a glutton for punishment. This set of 4 books can be ordered together, and do come together if you order the Timberdoodle complete 6th grade curriculum set. You can also order them separately if you choose. Each of these amazing, paperback books is approximately 120-160 pages long. Printed in full color, the slick pages are thick enough to hold up to little hands and wear and tear. They are written in a rhyming fashion that are easy to read and even have pronunciation guides for harder or possibly unfamiliar words, such as Osteology. There are many pages that describe the specific bones being highlighted in each particular book and then sprinkled throughout are games, word searches, puzzles, activities, and more. At the end of each book is a certificate of completion to reward your child for work well done. 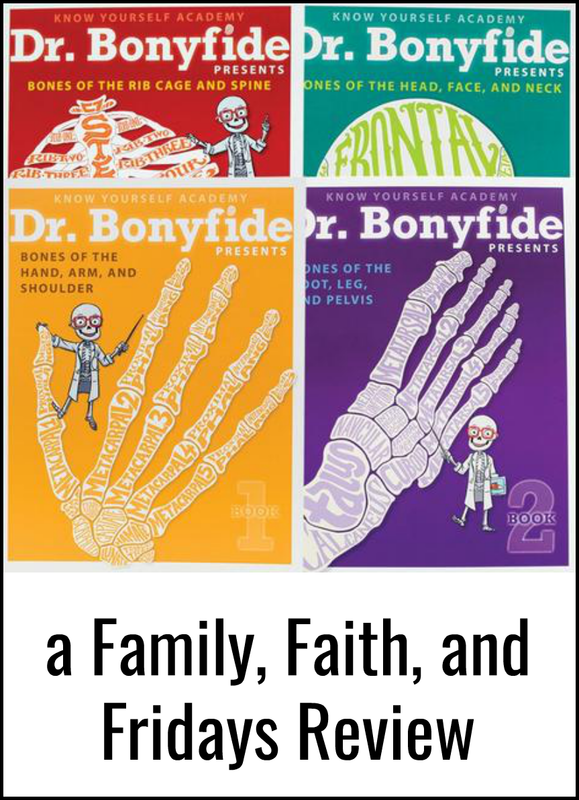 Book 1- Dr. Bonyfide Presents Bones of the Hand, Arm, and Shoulder. Book 2- Dr. Bonyfide Presents Bones of the Foot, Leg and Pelvis. Book 4- Dr. Bonyfide Presents Bones of the Head, Face and Neck. Let's face it, no matter how much great information is in a book, it will do your child no good if they do not read it. You will not have that problem with Dr. Bonyfide. These are such fun books and my son, age 10, devoured them. Though I had hoped to read them all together, he immediately took several to his room to read alone. When I finally got my hands on them, he chose Book 1- Dr. Bonyfide Presents Bones of the Hand, Arm, and Shoulder to work through together first. Not because it was Book 1, mind you, but because he found the cool "x ray" glasses in the back! We had fun counting fingers, identifying bones, and looking through the special glasses. We even learned how to finger spell words, including his name. One of Colby's favorite parts was finding the surprise jokes through the glasses. His favorite? "Why didn't the skeleton eat at the cafeteria? Because he didn't have the stomach for it!" Colby also really enjoyed the fun comics sprinkled in the last two books. Hey, if that's what it takes to hold the attention of and teach a 10 year old, so be it, right?! 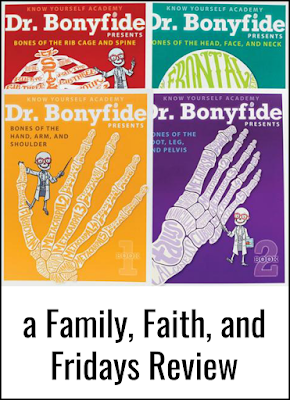 While you could not count this as a full human body curriculum for middle schoolers or upper elementary, the Dr. Bonyfide books are a great supplement! They will provide not only hours of fun, but also some great facts. there are 64 bones in your upper extremities? your big toe is known as the hallux? there are 26 bones in your spine? or that your head, neck and and face contain 29 bones? Well, now you do! You can learn this and so much more with Dr. Bonyfide books from Timberdoodle. 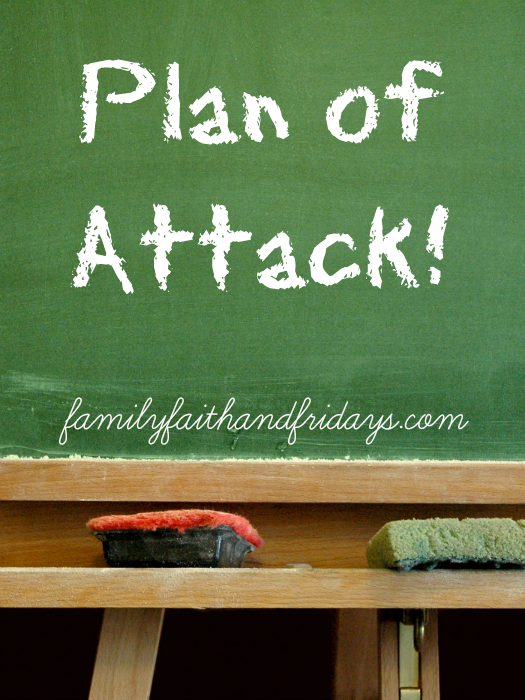 Keep an eye on Family, Faith ad Fridays for more Timberdoodle reviews! After spending three weeks in the office area, we are almost done! Today is for those of you that are actually blessed with a physical room for an office and have not cleaned them yet. Go on, admit you still have some things to do! If you are not one of those people, you can use this time to finish up your paperwork and filing systems! ;) We are also using this week to get our address books in order. Yes, we ARE going there. Remember: Is it needed, does it bring you joy, would you buy it again? We have moved over 15 times in the last 25 years. Unfortunately, so have many of our friends. So this week your second assignment is to pull out those address books, clean them up, get rid of all the scraps of paper (oh, please tell me it is not just me!) and then put it neatly away! I did buy a smaller, more portable version this year. We are wrapping things up next week, so now is your chance to go back and complete a project or two you may have put off. It is also your last week to submit pictures to be eligible for our prize drawing! Can't wait to see what you have done! Welcome aboard the Homeschool journey! You can do this! No, really, you can. There will be some in your life that will doubt you. Smile nicely and keep your distance. There will be others that will cheer you on. Keep them close and thank them often. And there are other mommas out there that know just how you are feeling this year. And they survived. So will you. Savor the moments. This is your last one and life will never be quite the same after this year. Take time to sit back and watch your child work. Remember the fun times you have had and the hard things you have overcome together. Pray over this last child and know this is their time to fly! Take a breath! It is going to be ok. We are often distracted by the bells and whistles curriculum, but I promise you your child can and will learn from the basics just as well. Go to the library and you will find all you need. Look online for free worksheets and you will find them. You do not need to spend a fortune to teach your children well. Trust me. Take the time to rest. Find something that makes you happy and do it, even if just a few minutes a day. Look for pockets of time you can take a quick rest to regroup. When you are rested you are a better teacher and a better mom. You do not have to be alone. Though they may take time to find, there are other mommas out there just like you. Find a special friend or group of friends and enjoy some adult time. You need it. S-L-O-W D-O-W-N. Don't forget to take time to notice the little details and remember the special times. This time is fleeting. Sometimes staying at home is just as wonderful as going out. Be careful not to over schedule and burn your family out- it isn't worth it in the end. You made it! And so did they! Congratulations, you deserve a party! After countless math facts, sentence diagramming, and papers, you have finished your job as a formal teacher. Now is the time to rejoice over the success- yours AND theirs. As you begin a new adventure, and I KNOW you will, remember to everything there is a season. May your new season be blessed! Homeschool mommas- THANK YOU for joining us this week for our 5 Days of Back to School Blog Hop. The Homeschool Crew loves you and we are thrilled to be able to get to know you and share our reviews as well as our lives with you. Life is always better done with friends and I count you as such! Welcome to day four of the Homeschool Review Crew's 5 Days of Back to School Blog Hop! I hope you are enjoying all of the wonderful posts. Try as I may I am having a hard time keeping up, so I plan on snuggling on the couch this weekend to read. 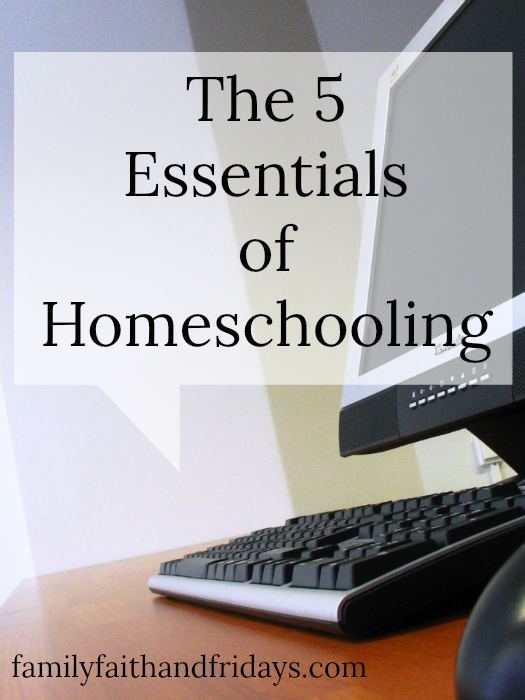 There is so much to learn from fellow homeschoolers! So todays theme is "Outside the House". I am going to just admit right off the bat that this is the hardest day for me to write. I am not an outside of the house kind of gal. I am a homebody. I like my home and am very content to be here most days. Days that we are out and about all day make me weary and cranky. No one likes a weary and cranky mom, so we stay home a lot. That being said, yes, my kid do have friends and we do get out. Occasionally. Co ops- I have a love/hate relationship with them. There are so many out there that are just time wasters as far as I am concerned. But, there are also some good ones. There is one here in Omaha that impresses the socks off of me and my kids have taken some great classes there. My advice is to look for value added. What are your kids gaining from the experience? Is it worth the time and trouble? Are they meeting other kids worth hanging out with? Field trips- Another one I have a love/hate relationship with. (I warned you I like my home!) When my kids were little we did the typical field trips to the bank, fire station, and bakery. Sure, the kids had fun, but as they got older it took precious time away from our lessons at home and so we faded those things out. I know, mean mom. If you like them, go for it. Just don't fall into the trap that a field trip makes a kid! Outside Classes- in addition to co ops there are lots of opportunities for your kids to learn from others. Go for it. If there is a mom in your area that has a skill they want to share, yay! I love moms like that! We recently had a mom do dissections for a group and she is forever my hero. Some people are just better at some things than others and hey, praise the Lord for those people. We are also firm believers in dual crediting classes through colleges. While my kids have only done this on line, many college campuses offer this option as well. It allowed both of my girls the opportunity to enter college with a year already under their belts. Saved us valuable time and money. Mommy time- OK, this one is cheating a bit, I admit, but I do want to gently remind you that you need a little girlfriend time. Notice I said need, not deserve. I don't believe in all that "I deserve" stuff. But I do know we NEED friends and support. So find a mentor or just a sweet friend or group of friends to occasionally do something with. Whether it is for a simple cup of tea, or a deep discussion, or simply just a hug, you will hopefully come away refreshed and ready to conquer another homeschooling day! Day 3 is here of our 5 Day Back to School Blog Hop! Yesterday we talked about supplies- why oh why do we homeschool mommas have such an obsession with pens and pencils? Seriously, we need to form a support group, I think. One of the things I failed to mention in yesterday's post, intentionally of course, was a planner. I know, that calls for an additional support group! 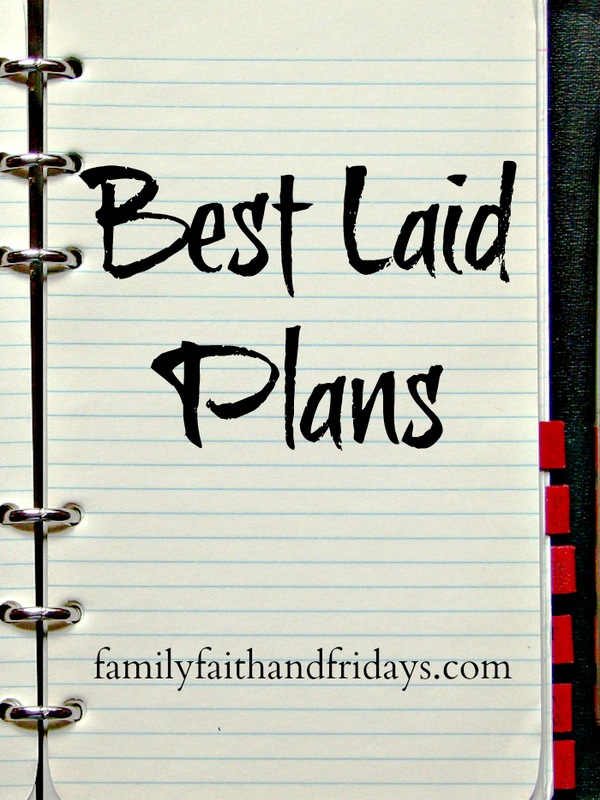 But today since we are talking about plans and schedules I am going to mention the P word! Planners! There are lots to choose from and I am not here to sell you any so let me just say this. Find what works for you and go for it. 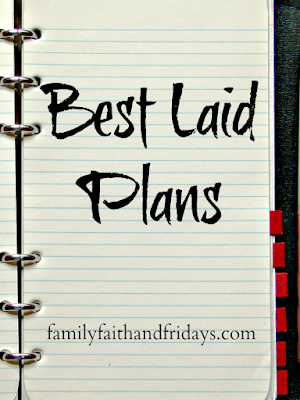 I have had expensive, fancy planners that were fun for a while, but eventually wore me out. The past few years I went to a simple spiral notebook for each child. I wrote each subject down with the assignment for that day and then they checked off as they went. On good weeks, I did one week at a time, scheduling on Sundays. Confession- I have also been known to schedule one hour before the school day starts as well. My only complaint was I got tired of writing the weeks and subjects over and over. And over! So this year I printed off a schedule from Schoolhouseteachers.com, printed 36 copies of it (times 2 boys) and bound them myself. Now it is just one less step to have to fill in all the tid bit information, and my oldest says is easier for him to read. Know your state requirements (weeks, hours, courses required, etc.) and keep track. Be flexible! After 19 years of doing this homeschooling thing, I only schedule a week in advance. Yes, I do follow certain curriculum schedules, BUT I only write them in my child's schedule one week at a time. Things happen. Life happens. And schedules sometimes need to change. Give yourself a break and BE FLEXIBLE! All those things will save you a lot of trouble in the end! On that note, the only other thing I really use for scheduling is a monthly calendar! This hangs on our school cabinet door so I can at a glance see the week number we are on. I circle weeks I know we will take off for holidays and can easily keep mental track of how far we are! Like last year and the year before, we will continue our Sabbath Week Schedule of 6 weeks on, one week off. Simple? Yes! I have made it much more complicated in the past and I am telling you it got me no where different. If fancy planners and fun colors and tape and such float your boat, keep sailing! Do what makes you happy. But if that stuff stresses you out, let it go, make it simple and relax! Do what the law requires to teach your child, and enjoy your days! After all, enjoyment is one of the great things about homeschooling! And speaking of success, today's blog hop theme is supplies. 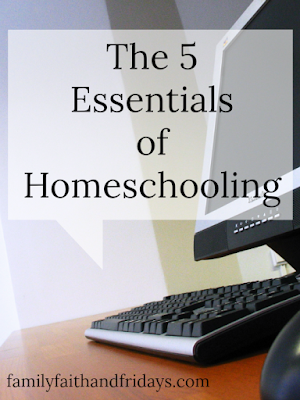 Now that is a pretty broad subject, so to make your life, and mine, a bit easier I have decided to share with you what I consider the top 5 Essentials of Homeschooling. While I know everyone is a bit different, these are the things I could not do without. #1 Curriculum- Well, of course! Unless you are an unschooler, you will need some sort of curriculum. Whether it is an all in one publisher or you gather each subject separately, you will need to get some books or workbooks of some sort. You can spend a lot of money on some pretty impressive stuff out there, or search the web and find may sites that are sharing free to inexpensive resources. #2 "School Supplies"- Before you think this involves grabbing a two page needs list and joining the crowds at the local store, think again. You really can get by with a few pencils and notebooks. Really, you can! Depending on the age you are teaching, you may want to add in scissors, glue, markers, and a ruler but there is no need to go overboard. Every year school supplies take over the stores and eventually our homes. Stay strong and resist the urge to join the crazy. Real needs and fun wants are very different. We do not have a dedicated school room so each morning we grab this tote and take it to the table. It does have some markers and colored pencils in it, as well as Spanish flash cards and a multiplication wrap up set. It also holds our Bible and stickers for assignments pages. When school is done, it gets tucked away. #3 Copier/printer- OK, you may be able to live without this, but I could NOT! Seriously, I use it almost every day. We have had this one for years and it is holding up fine- worth its weight in gold, I tell 'ya! #4 Computer- I know some would argue this one, but hey, it's my list so it is on there! ;) We use our computers a lot. Both boys take multiple classes on the computer as well as do research on them as well. They get their share of wear and tear. School is also easier for us on the go as we often are. I may not be able to always pack the books, but it is easy to pop the computer in the car and go. #5 White board- These come in all sizes, but honestly this small one is the one I like best and it is easier to keep close by. We use it for spelling, for math practice, to explain hard concepts, and sometimes just to leave each other notes! Inexpensive and saves paper scraps from taking over our school space, AKA- the kitchen table or coffee table. No matter what YOU decide you need for your school year, remember that the relationship you develop with your child is the most essential thing! Make that your focus, and the rest will all fall into place! See what others have to say about school supplies today! Enjoy and see 'ya back here tomorrow to talk plans! You know how I like plans! Technology- ugh! I am just going to go on and admit to you that I am not a techie queen. Cleaning queen, maybe, but NOT a techie queen. That is one of the reasons I still pay my 19 year old to maintain my blog. It is a little more challenging now that she is away at college, but hey, we make it work. And computers? Well, they fall under the techie thing and therefore are not my friends. In addition, with my hero husband pretty busy these days, I am at an even bigger disadvantage. I tease him that if ever something happens to him I am going to throw away all things techie, with the computers going first. I. Am. Serious! First of all, wipe it down. This includes the screen, tower, mouse, and keyboard. Dust settles in cracks and crevices quickly and can really mess things up. I know some people that use the cans of pressurized air or a vacuum cleaner with brush attachments. I also use a Norwex cloth meant for mirrors that I love! No need for harsh chemicals. Next, on to the techie stuff. Ugh! Your goal is to go through and cleanup or delete old, unused files, pictures, and downloads. I was AMAZED at how much was stored on my computer that had been there for years and that we did not need. Apparently I download a lot of files I forget about and never use. Who knew? And pictures- well, let's just say I am not as organized in that area as I wish I was. Luckily my 19 year old IT girl is better at it and is on a mission to rescue me. Remember, folders are your friends. Even if you have a ton of them, at least if they are clearly labeled you can retrieve things you need quickly. Follow the same rule that we talked about from last week- EVERYTHING HAS A HOME! Simple! OK, not really, but at least it is concentrated in one area. I have almost finished my first 34 weeks! I don't know that I would have actually thought I would. I am always looking for ways to make it "easier" around here. So this has been wonderful! I love it! So many of you have worked hard and should be so proud of yourselves! Wish I could give each of you a hug and a high five! You deserve it! 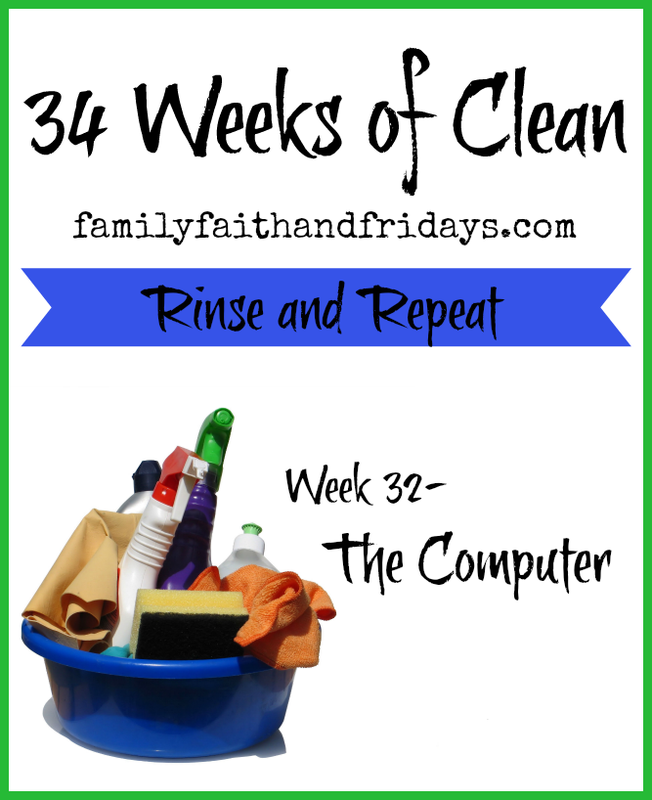 See 'ya next week- get to those computers and start cleaning and organizing! Welcome to the Homeschool Review Crew's 5 Day Back to School Blog Hop! Wow, that is a mouth-full! But luckily for you, it is also a week of FULL of information, inspiration, and hopefully a little fun. We are glad you joined us. Make sure you check back each day this week for a new subject! Today we are talking about CURRICULUM! Makes perfect sense that is the first subject as, let's face it, it is the heart of homeschooling. Other than the momma, right? So background- I have been homeschooling for over 19 years! Our oldest daughter graduated from college a few years ago, and her sister is going to be a junior in college this year. The two left at home are both boys and will be a 5th grader and a sophomore in high school. So this is not my first rodeo, as they say here in the mid-west. That being said, we prayerfully consider each school year and what is best for each child. I still pour through curriculum catalogs and yes, I still try new things. There are a few oldies but goodies I use with every child, but since each one has a different learning style and personality, some things are just better tailored than cookie cutter. I would encourage you to research what is out there, ask a lot of questions, and be willing to make changes where needed. There is never a year that we do not make some minor tweaks as we go. So what are we using? Glad you asked! Let's start with the 5th grader! Bible- Apologia's Who is God? Wow, that makes me tired! And as you are reading this we are fully entrenched in our first day of school! If you think of us, whisper a prayer! Got questions? Feel free to ask- we would love to help you with anything we can. We hope you will join us tomorrow as we talk about school supplies. In the meantime, just click on the button below to see what some wonderful friends of mine have to say about their curriculum. It's almost that time of year again. Can you feel it? The temperatures are dropping a bit, school supplies are taking over the stores, and calendars are starting to fill up with events. Yes, fall is coming and so is what I call "The Crazy Season." A time when mom is pulled in a hundred, maybe a thousand, different directions and many evenings I just long for a quiet place to land and read good book. But hold on, those people of mine want to E-A-T! Can you even believe it? Thankfully, during the busy seasons of life my slow cooker and my freezer have become my best friends. With very little planning and even less effort, I can grab a baggie out of the freezer, pop it in my slow cooker in the morning right after breakfast, and there is a hot meal ready for dinner. This is especially good for days that are crazy, days that we have "after school" events, or days that mom has reached her stopping point. Yes, that about covers all days, right?! 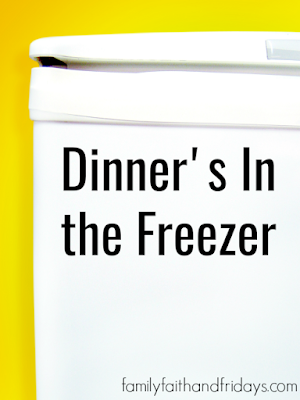 There are countless ways to freezer cook and you can find many articles and recipes relating to that process. What I want to share with you is not the process as much as just a few of our fast, easy, and no-frills meals. We are not fancy around here. I have four kids who have many distinct likes and dislikes. I gave up trying to keep up with the Joneses and their menus years ago. Simple is the name of the game here! But blessings is the other name! Freezing simple meals ahead of time that can be popped in a slow cooker, providing hours of yummy smells and at least ten minutes of yummy dinner time (does anyone have a fast eater???) has indeed blessed me. It frequently takes the stress out of my day, saves me time in the kitchen, allows us to save money by avoiding those last minute "let's just order something in" panics, and provides a more nutritional choice for a meal. Italian chicken- Just pop chicken breasts in a baggie, pour half of a bottle of Italian dressing in with a tablespoon of garlic salt. Seal, shake and lay flat to freeze. Pop it in the slow cooker on low for 8 hours and you are ready to go! Chicken and Rice- Pop chicken breasts in a baggie with a can of cream of mushroom soup (or your own homemade) and a half cup of water. Lay flat to freeze! Cook on low for 8 hours, adding uncooked instant rice the last 20 minutes. Shape meatballs and freeze with your favorite sauce (b-b-q, teriyaki). Cook on low 8 hours. Shape meatloaves and freeze. Simply put in slow cooker and cook on low 8 hours. Freeze spaghetti sauce and cook on low 8 hours! Cook hamburger meat and freeze in two cup servings for the following meals- (you can add spices when you freeze or as you put your meat in the slow cooker) tacos, chili, taco salad or Sloppy Joes. You can then cook the pieces in the slow cooker for 8 hours and use the following ways- As the main meal, over rice, on baked potatoes, as sandwiches! See? I told you the ideas are endless! For the most part, there are not many foods that do not freeze well, and even less that you cannot cook in a slow cooker. No need to make it complicated, just make it and freeze it and watch your meal time stress melt away as you go about your busy day! Welcome back to 34 Weeks of Clean! We are nearing the end of our series and by now you should be feeling really good about your homes. One week at a time, we have been on a mission to take back our homes! If you are just finding us, it is still not too late to get started. Just pick a room, set a timer for 15 minutes if that is all you have, and go! If you do that each day, you WILL see results. It is not by coincidence that I saved the "Office" for the end. Or that I will be breaking it down for you in three week assignments. This is a hard place for me. Obviously! The sad thing is that this is not even in a room by itself where I can shut the doors and pretend it doesn't exist. Our current home does not have a separate office room and so this desk sits right in the corner of our living room. Nice, huh? In my defense it starts out relatively clean on Monday, but by the end of the week, between two boys using it for school, me using it for work and blogging as well as our personal family desk needs (bills and such) and all of us being lazy, it usually looks pretty rough by Friday. See, right in the open for the world to see. Laziness. We have, all of us, got to commit to finishing what we start. That includes if you take something out, you put it up. Sadly, the kids are not the only ones guilty of this. We are working on it, I promise. Too much stuff. Well, by now you know that I like to throw things away! Each year I sort through desk things and get rid of extras. Notice I said extras, not just what we did not need. I think there is a difference. Yes, we need pens, No we do not need 200 of them. I seriously went through this whole house on a war path against pens and threw every last one of them away that did not fit my fancy. The reality is I have never had to throw a pen away because it actually ran out of ink. Do they even do that? The other reality is that when I go to use a pen I seek out one of two kinds, ignoring the rest. So those two kinds stayed and the rest went out, with the exception of highlighters and pencils that we use for homeschooling. Bye bye motel and business pens! If I need your number I will look you up in the phone book. Sharpie pens are my favorite in case you were wondering! Not having homes for everything. I read in my Kathi Lipp book (Clutter Free) that one of the problems with organizing is that if something does not have a home, it just gets rearranged daily. Yep! Guilty! And paperwork seems to be one of those areas for me. I am working to change that. My new war cry is EVERYTHING. HAS. A. HOME! The kids are loving it. NOT! If something does not have a home, a place that it goes every single time, then we either find it a home or it goes out the door. It is amazing what that simple little task will do for you. Try it- go around your house one room at a time and anything that is sitting out, ask yourself, where does this belong? If you do not have a home for it- find one. Now! Or move it out. We are going to divide the "office" into several weeks for sanity's sake. It will look a little different for everyone, but I KNOW that somewhere in your home is a secret stash of files, bills, and random paperwork. This week then is dedicated to all of that paperwork and the bills/filing system, since for me, that is where my clutter typically comes from. I will also introduce you to one of my favorite office supplies- the paper shredder. A wonderful invention! Go get or borrow one- you are going to need it! Once you have left only what you need to keep (do not skip the first two steps, friends! )- establish a system for filing and stick to it! Here is where I made some changes, since my current system was obviously not working for me. Again using Kathi Lipp's idea from her amazing book Clutter Free, I established a daily file box to keep things in. You can read all about it in her book, but the premise is that you have a specific place to house paperwork and such until you can address it. You see, Clarke's office is downstairs. (In the storage room, honest!) Our kitchen counter is upstairs. Hence the problem. When the mail comes in, (bills, coupons, flyers, magazines, correspondence) it all gets stuck on my kitchen counter top, which drives me crazy. Now, I sort it into my filing system, which also holds my calendar, so daily I can take a quick glance at the days file and handle any pressing needs, and then weekly, I can do any paperwork I need to. There is a tab for each day of the month, as well as a file for each month of the year. There are also extra tabs for coupons, recipes and more. You personalize it to make it work for you! Love it! Too much for you? That is fine. The goal is to find a system that works for you and use it. Everyone does things a little differently. The key is to find a simple solution you love and then stick to it. A key point. Papers WILL pile up if you allow them to. Make your life easy and have the 1 touch rule. Touch it for the first time and take care of it, whether that means the trash or a file. If you just lay it down somewhere random, you will simply move it from place to place. That is not one touch! It is a time waster, and a counter cluttering habit. Ask me how I know! Speaking of how far you got- how did you do last week? You only have a few more weeks to leave pictures! With full time school getting ready to start back up soon for many of us, excitement and some change is in the air. Well, mostly the excitement is for me. The change for the kids! Shhh, don't tell them it is coming yet! I know, shocking, right? After all, kids in public school attend ALL. DAY. LONG. But tell that to many younger homeschooled kiddos and you will probably get blank stares. After all, who still has things to do after lunch? As a veteran homeschool mom, I advise new homeschoolers to simplify the way that they look at school. Our goal, after all, is not to reproduce public school at home. With only a few students to teach, no need for bathroom breaks and hall passes, or busy work to fill in time, school for younger grades can typically be done in a few short hours. It's true, trust me. It is also one of the many glories of homeschooling. But as the kids get older, their workload does grow larger until, gasp, school after lunch is needed. So how do you help older kids transition to this new game plan? Warn them ahead of time. No really, do warn them. Kids are creatures of habit, and just like us, unless it involves presents, they do not always do well with surprises. Or change. Let them know ahead of time that with the new year comes new things, one of which will be to continue school after lunch. Make lunch enjoyable. 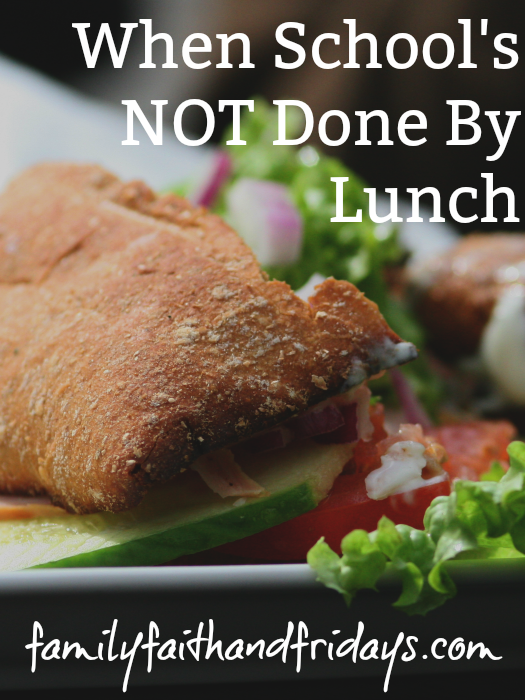 Make time for lunch and make it enjoyable. Maybe this is a time of family chatting, or reading a devotion together, or even enjoying a chapter book. You can even enjoy food prep together as a team. Make it a fun break in your day. Don't allow for play until after the end of school. I know this one may meet some resistance, but hear me out. Most kids, dare I say no kids, want to stop playing in the middle of something to start school, or anything else that they do not want to do for that matter. Take it from someone who has been doing this homeschooling thing for 19 years, do not go there. Once they are playing with their toys it will take a drill sergeant or worse to drag them away. The struggle is just not worth it. Stick to a toys-after-school time rule and you will avoid the battle before it begins. Start slow. Rome was not built in a day! If you are new to school after lunch, I would recommend you start with one new subject after lunch each week. By adding small increments of time, you will build your child's stamina. Remember when you were fading out nap times? Each new week they could stay up a little longer. Same concept, different subject! Save the best for last. Do NOT end your day with math, unless math is what your kids love best! Most kids are more refreshed and able to mentally AND emotionally handle more stress and harder work in the morning hours. Do the harder subjects early on and save things they really enjoy and look forward to for the end of the day. We often save electives or science projects til the end. What better way to finish but with a smile on their face and yours? Reward hard work. Every child is different, but we all like to be rewarded in a specific way for a job well done. Maybe it is as simple as reminding your child that once school is done they will be able to go play in their rooms or with their friends Maybe your child likes stickers, or you can end your day with a snack. Maybe you allow a quick video or electronic time. Find what works for your family and what your child will receive as a job well done reward so they have something to work towards. 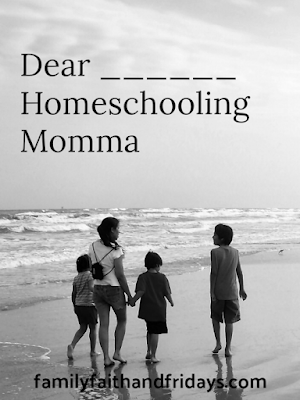 Remember mammas, the days may be getting longer, but your homeschool days are growing shorter. Enjoy the time before and after lunch, and all the moments in between! You are doing a great job!